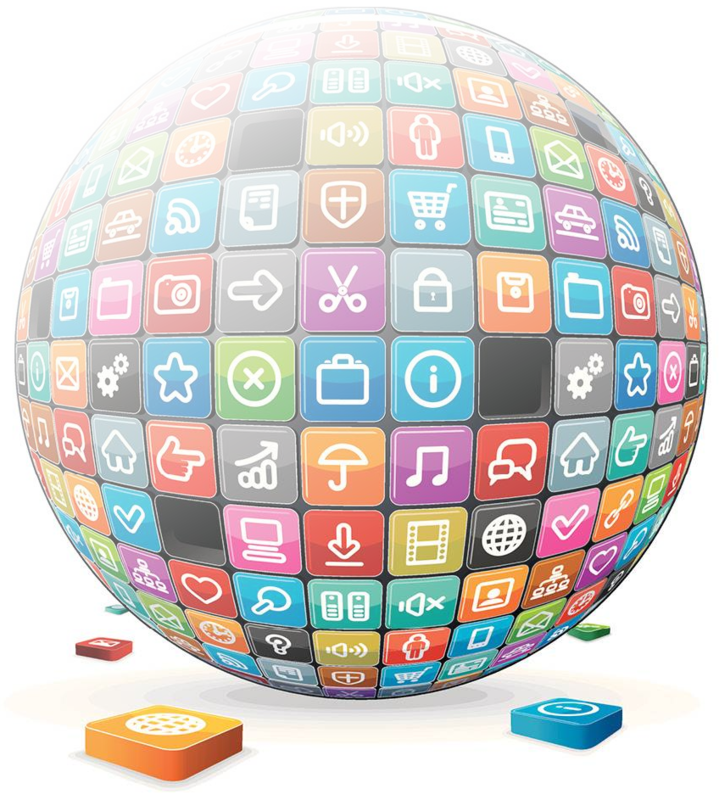 Navigating CRM 2015 is quite different for users familiar with CRM 4.0 or 2011. Have you ever been in a CRM window and notice the browser’s back button isn’t there? When training new users, I often hear people concerned about not seeing the back button and feeling stuck. Luckily this is very easy to handle. To go back, you can use a keyboard shortcut of “[alt] + [left arrow]”. Pretty easy. If you want to try it yourself, open a record via Advanced Find and then click a related record. To get back to the record you first opened, you can hold [alt] and press the [left arrow] key to browse back. Between the advanced find in the ribbon and the global search feature, users will easily be able to quickly find what they are looking for. 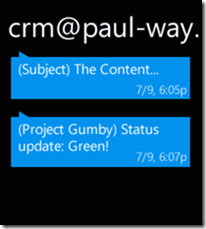 With this shortcut, users won’t ever feel stuck and will enjoy navigation CRM 2015. The FetchXML builders are quite different presently but the feature paths look similar. My plan is to have the Fetch Tester 3000 work with both the XrmToolbox and as a managed solution within CRM. I can see users having a strong preference for one way or the other and so why not both? I also want to build a GUI. In fact, I’ve got a laundry list of features planned. The benefit of the managed solution is leveraging context within CRM. I want to save and edit views with this tool. The SDK allows for complexities the normal interface doesn’t offer. Additionally, it would be cool to have an advanced find and switch to the Fetch Tester 3000 with it loading what’s already built in the advanced find. A managed solution can also be used with tablets. I’m infatuated slightly so I’m not trying to hype this as much as just broadcast my own excitement. The tool might not be as easy as stunnware was back in the day, but it should make things significantly easier. Tonight I was able to get the auto-complete working for the linked-entity relationships (one-to-many). Justin has got the validation taking place and it’s pretty incredible. The error messages are clear and helpful. I also built a mockup of the interface (let us know your feedback). Found something the other day that I thought was interesting. I never noticed this because I usually validate my fetch using Notepad++, but CRM doesn’t validate your fetch against the schema before executing. This is probably due to performance. The results are NOT correct; however, the fetch does execute. Why does this matter? Look, I already said this was useless… But it also means the validation feature within ft3 will be optional. I’m a big fan of Fetch XML. Unfortunately, to many, it can be frustrating. Anytime I’m at a conference and I talk about fetch being my preferred way to pull data, I unintentionally create an argument. I get that fetch is complicated. I agree that fetch barely has any of the features of SQL. However, fetch is still the fastest way to pull data from CRM and offers the most flexibility in retrieving complex information. Note: As a reference for performance, if you ever used my CRM Data Detecitve tool, you’d know that aggregate calls are quite fast. Why create a Fetch XML Editor? I often find users are looking for ways to alleviate the email overload. Sometimes important emails are missed due to a hectic day. In some situations a remedy I like to incorporate is the ability to text message a user for events or status changes the user really cares about. Leveraging Microsoft CRM and cell phone carriers’ email feature, we can offer users the ability to receive critical alerts via text messaging in addition to normal email. All of the carriers use the format of phone number followed by the domain. For example to send a text message to a Verizon user, you’d email them 8645551234@vtext.com. With CRM 2013, Microsoft added some awesome improvements to their FetchXML. For those unfamiliar, FetchXML provides you an easy way to query information out of CRM. 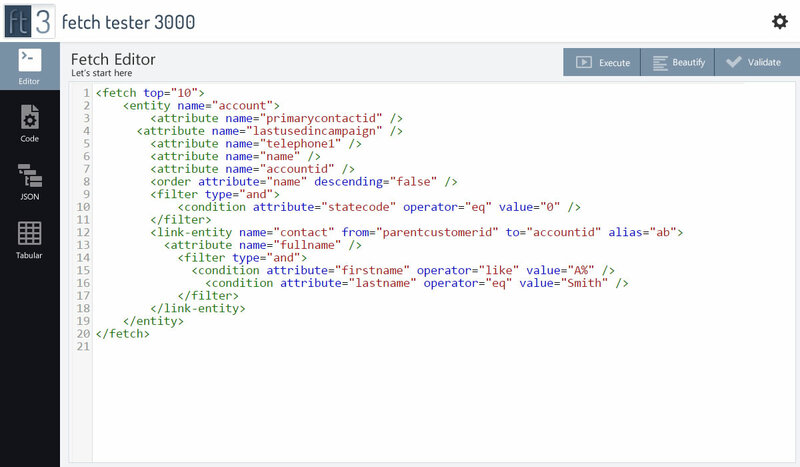 With the CRM 2013 FetchXML improvements you can perform significantly more queries than ever before. Today I want to show you my favorite new feature which is alias filters. Let’s say you wanted to find the number of active accounts without contacts. With CRM 2013, this is now possible and super simple, here’s how. Simple enough, and in my test scenario I get 15,179 records. To be fair though, we are only looking at active accounts, so let’s add a filter. This returns 14,589 active records. Now comes the fun part, with 2013 we can also add to our filter, columns concerning our linked entity. This returned 839 records. That means in my CRM environment, I have 839 accounts that do not have any contacts associated. In my case, I want to list those accounts and find which ones need to be deactivated and/or who from sales I should contact to make sure we get the proper contact information inside CRM. At this point, the count tells us the number of companies we need to review, but really we want tangible data. Let’s modify this query to get something we can have someone analyze. Here I’ve added the telephone and composite address (which pulls line 1, city, state, and zip). I’ve also limited this to 10 records in case your environment has way more than 800. The primarycontactid should not return, but I’ve included so you can verify. Looking at our Fetch filter, you may notice a new attribute called entityname. For some of you, this is pretty exciting and ideas are churning through your head already. If you’re like me, you have had to perform multiple queries to accomplish similar feats. Luckily with CRM 2013 we can get to our desired data quicker and easier then ever before. What are some more scenarios? The last one may seem random, but the more you explore the alias filter the more you will be glad you did. 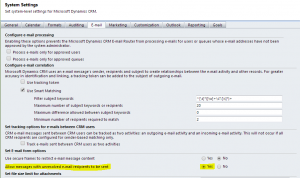 Today we’re looking at sending unresolved emails in CRM. Have you ever wanted to email someone who is not in CRM? Sometimes it can be frustrating to have to create a contact or lead record for a person just so you can email marketing material. Additionally, you may want to avoid cluttering up your CRM system with a “fringe” listing of contacts. By allowing “unresolved” email addresses to be sent, you can do just that. 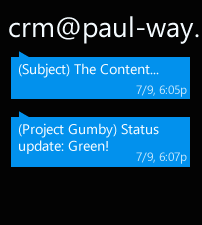 In addition to configuring CRM, I’ll demonstrate how to send an email from C# (using the CRM 4.0/2011/2013 SDK). To start, let’s look at the system settings we’ll need to change. Begin by selecting Settings > Administration > System Settings. This will bring up a prompt, select the “Email” tab and select “Yes” for the “Allow messages with unresolved e-mail recipients to be sent” option. 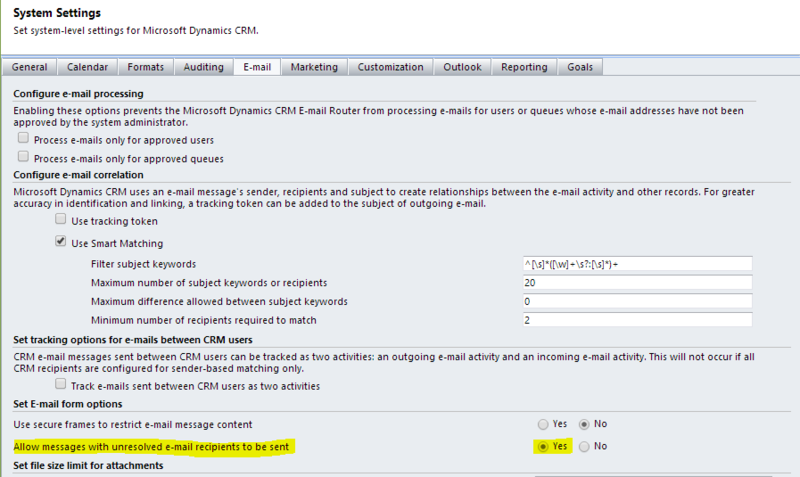 To send emails to recipients not in CRM, select the “Yes” option. Hopefully these options spark some ideas or resolve a frustration you’re currently facing. Sorry, the first thing to know about gamification is: avoid cheesy things! No one wants blinking or moving graphics. No one. Instead of focusing on the negatives though, I want to talk about the things you need in order to get productivity gains coupled with user engagement. One question I always try to ask users is, “does anything feel redundant?” If you ask a few people this question, you’ll sometimes find sticking points you never even thought of. What’s great about this question is that CRM 2013 seems to always have a solution to the user’s frustration. One solution I go back to again and again is the “Process” dialog. A client I’m working with has to build out a plan each week of the projects they are going to work on. Each user typically has one or more projects taking place each week and each project typically last several months. 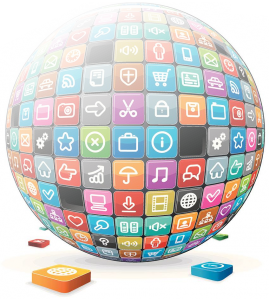 Additionally, at the start of each month users are typically expected to have five weeks of work planned out. To management, this was important to understand who was freeing up as well as anticipated cash-flow of billable projects. To the users, this was one of two TPS reports they had to deal with. Both were frustrated since users were slow to get these entered and management always felt the numbers were unreliable. A basic CRM form with minimal input fields.